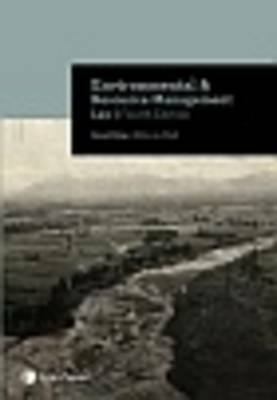 The 4th edition of Environmental and Resource Management Law features two new chapters, Climate Change and Landscape & Visual, and as with the previous edition, the work provides a comprehensive introduction to modern environmental law. The texts deals with substantive topics of ... read full description below. The 4th edition of Environmental and Resource Management Law features two new chapters, Climate Change and Landscape & Visual, and as with the previous edition, the work provides a comprehensive introduction to modern environmental law. The texts deals with substantive topics of environmental law and provides chapters on procedural aspects of environmental law important to practitioners.